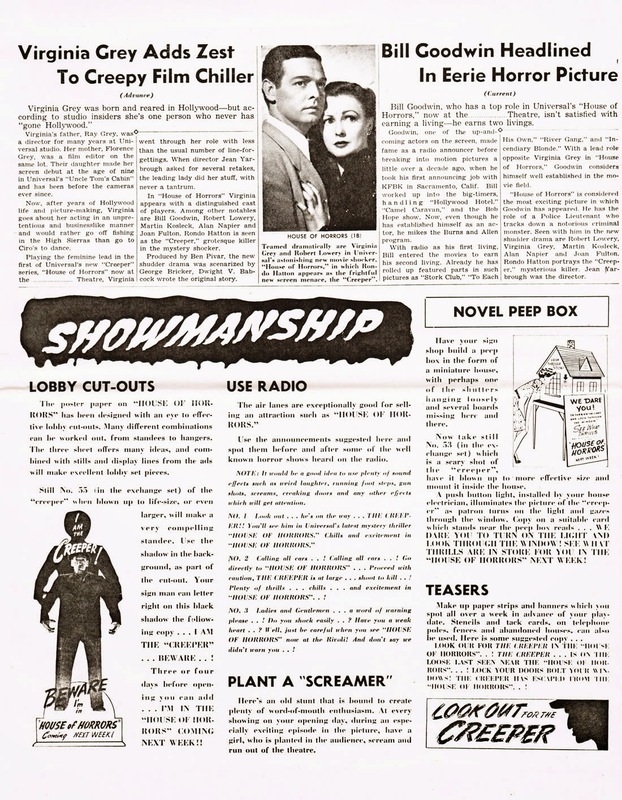 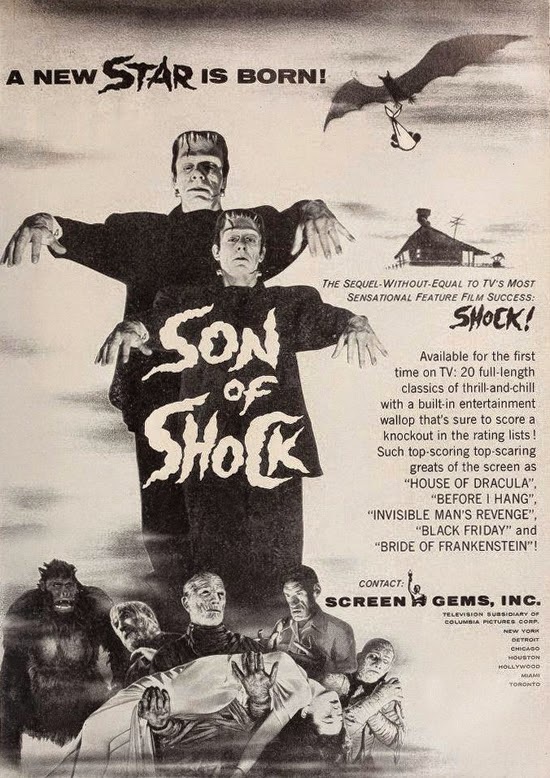 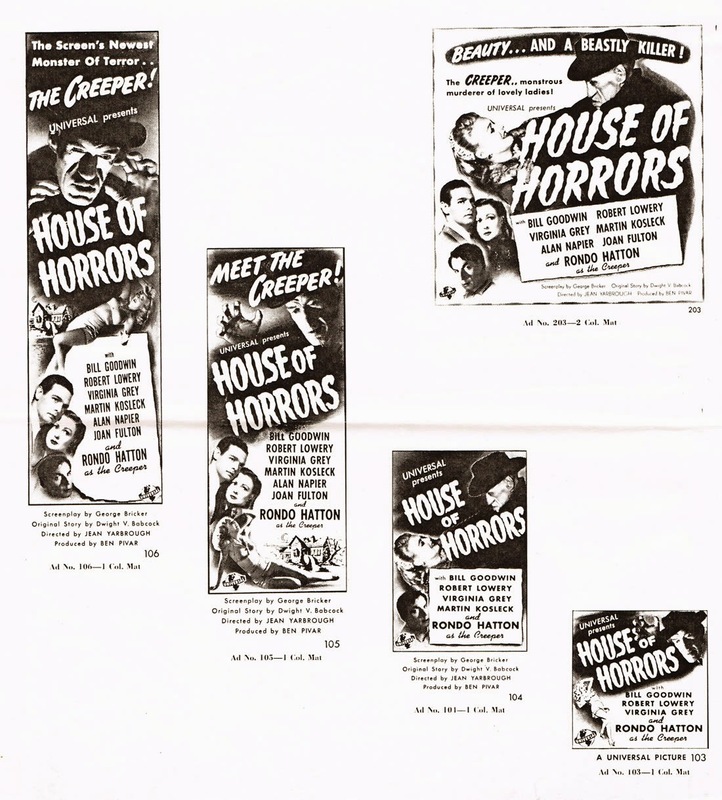 Here is a vintage ad for the Shock Theatre package which aired classic Universal Monsters movies on television! 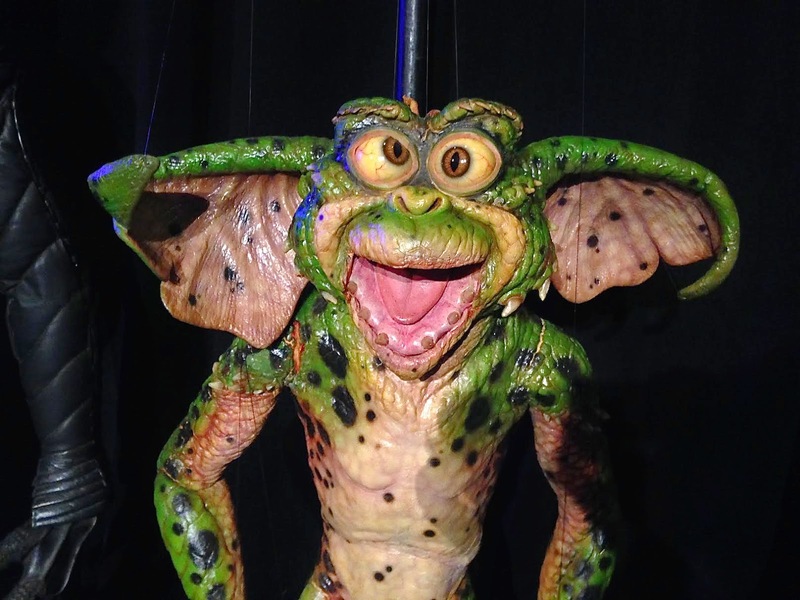 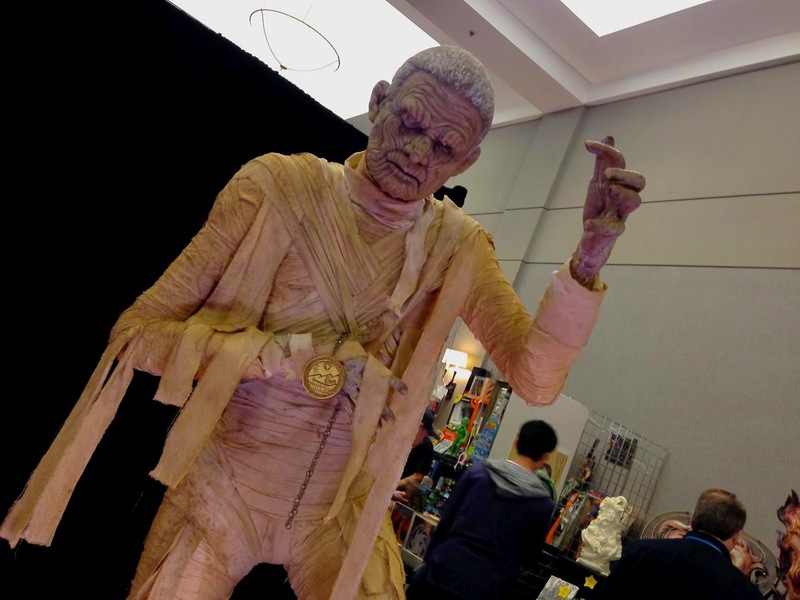 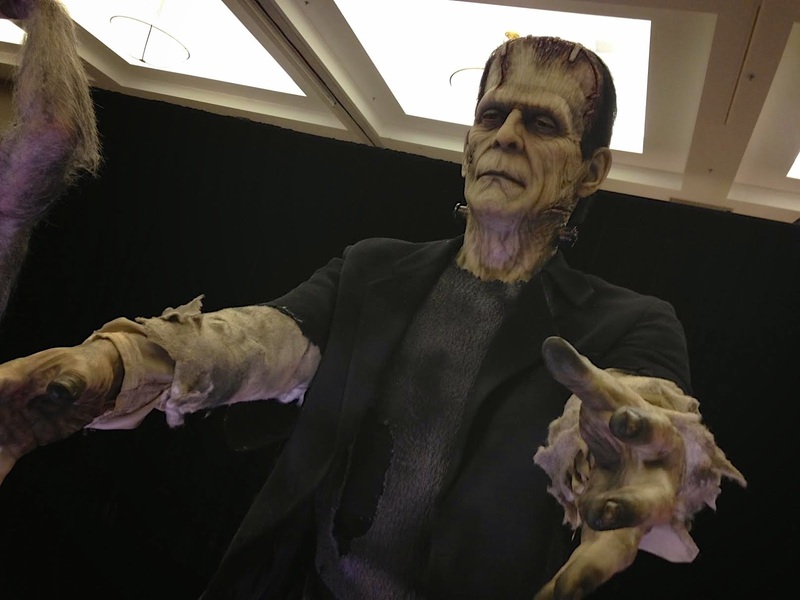 Another successful Monsterpalooza occurred this weekend. 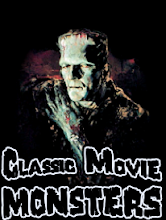 In Burbank, California, only minutes away from Universal Studios where such classics as "Frankenstein", "Dracula", and "The Wolf Man" were filmed, monster fans from all around the world join together and celebrate the art of the monsters. 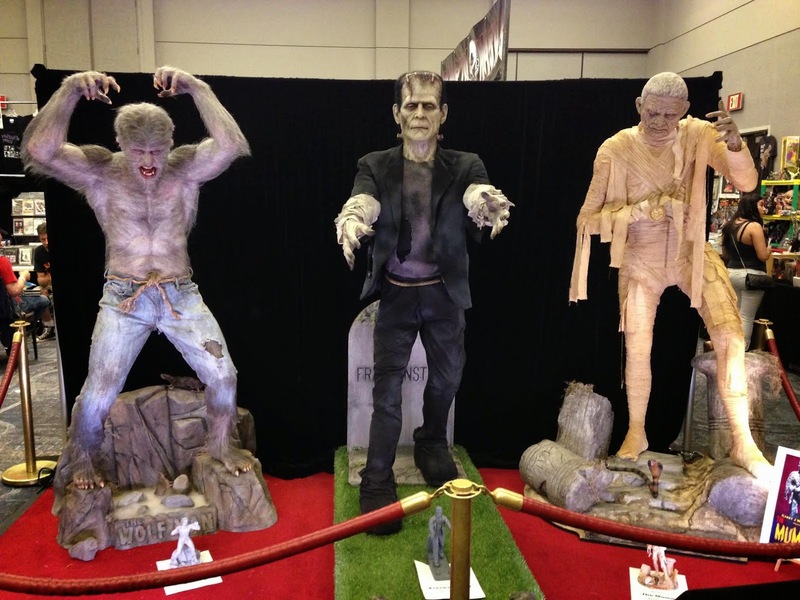 Below are some of my favorite pieces from the show. 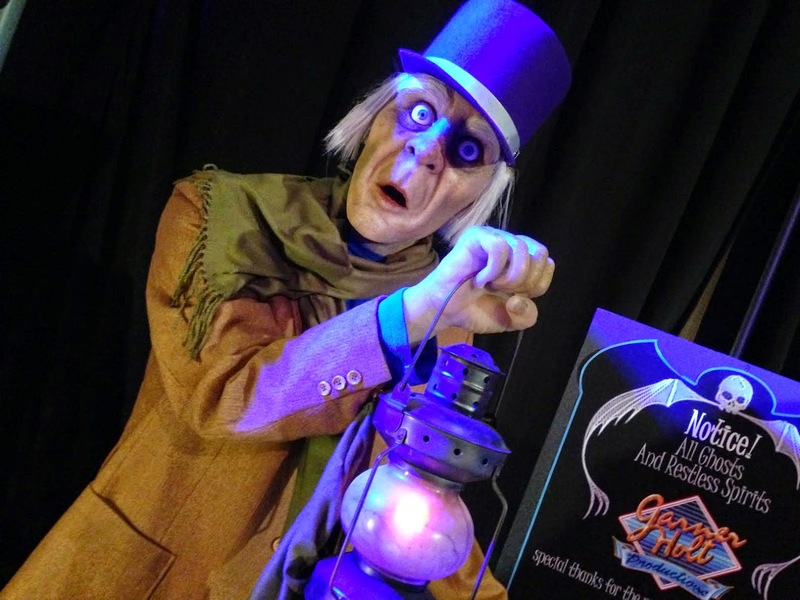 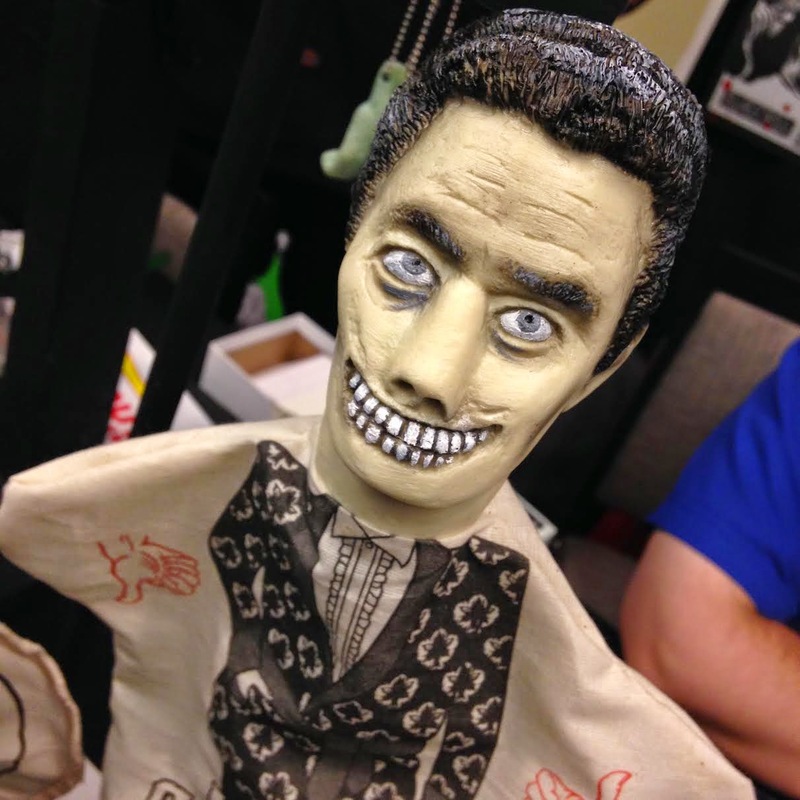 The Caretaker from Disneyland's "The Haunted Mansion." 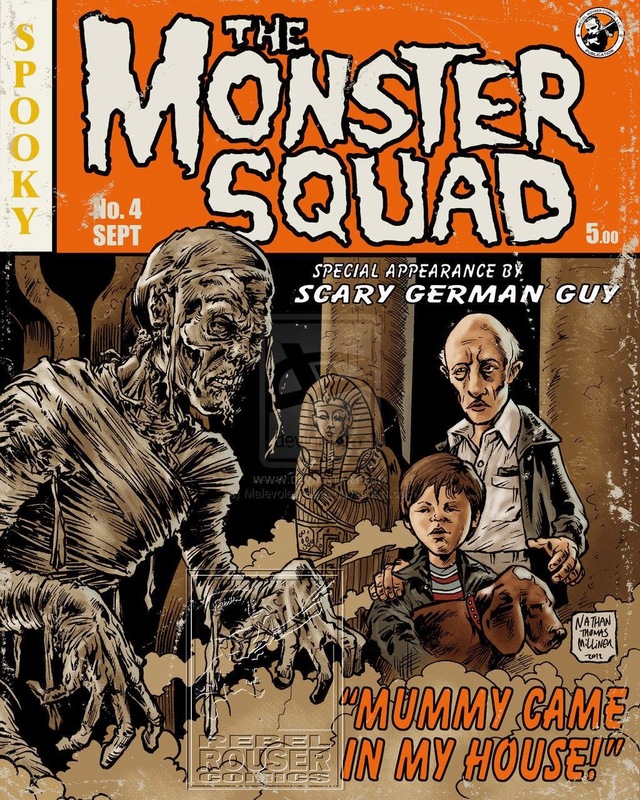 Nathan Thomas Milliner created this incredible vintage style comic book cover for "The Monster Squad"! 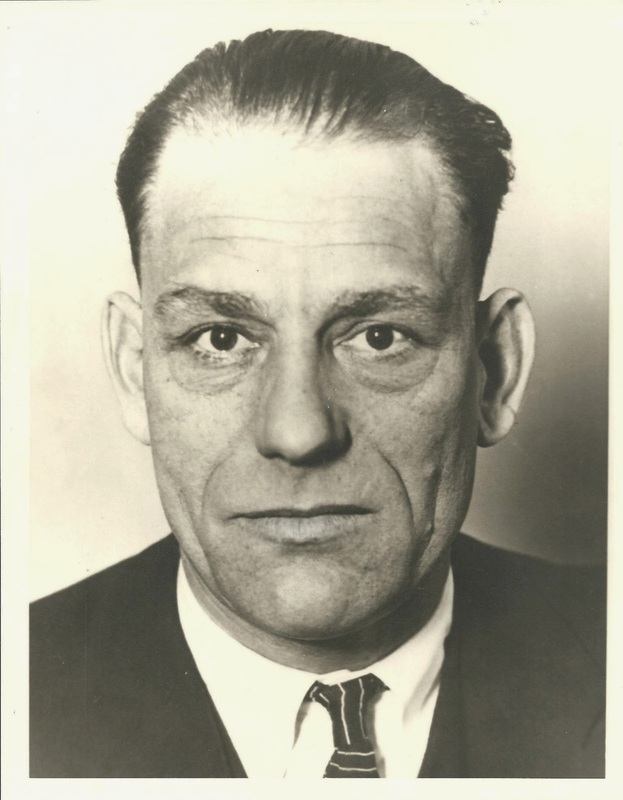 It's the Man of a Thousand Faces, Lon Chaney, Sr.! 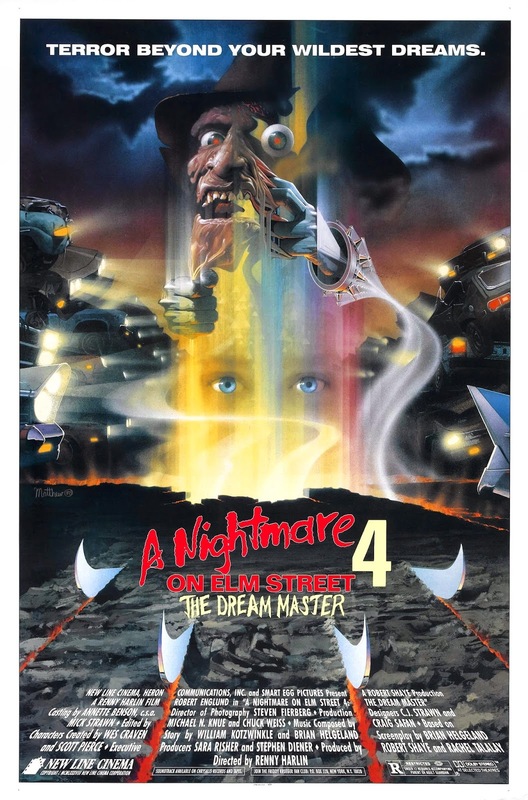 Monster Movie Posters: "The Man Who Laughs"
Monster Movie Posters: "A Nightmare on Elm Street 3: Dream Warriors"
From "Halloween 4: The Return of Michael Myers". 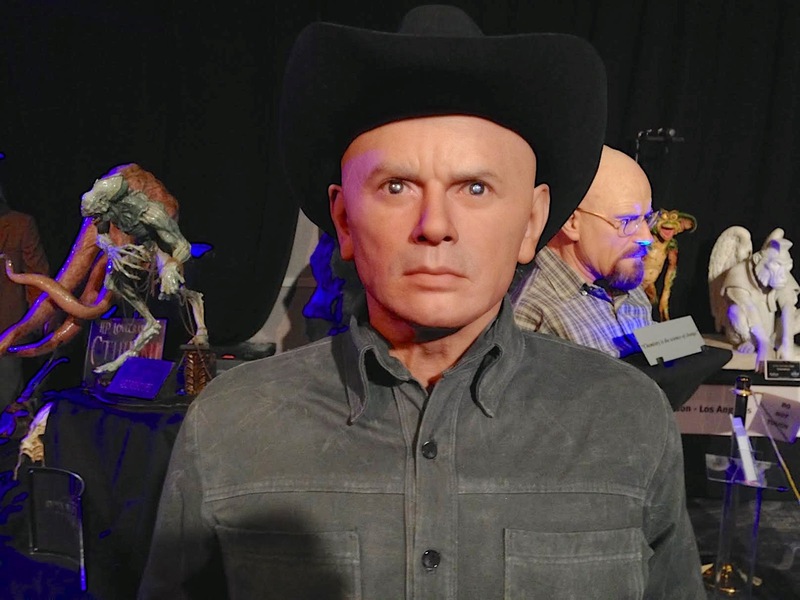 Tandra Quinn is about to be attacked by her costar in "Mesa of Lost Women"! 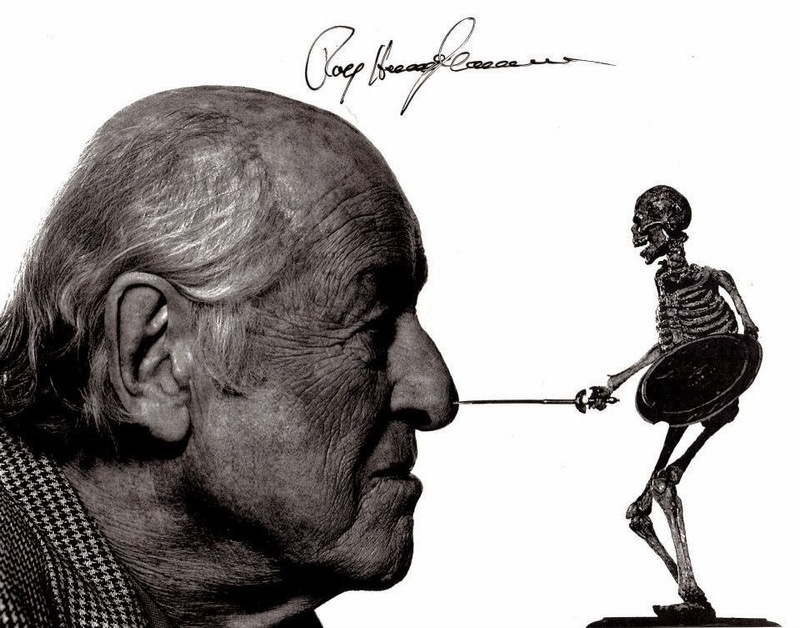 Here is a great portrait of Ray Harryhausen with one of his famous skeletons from either "The 7th Voyage of Sinbad" or "Jason and the Argonauts". 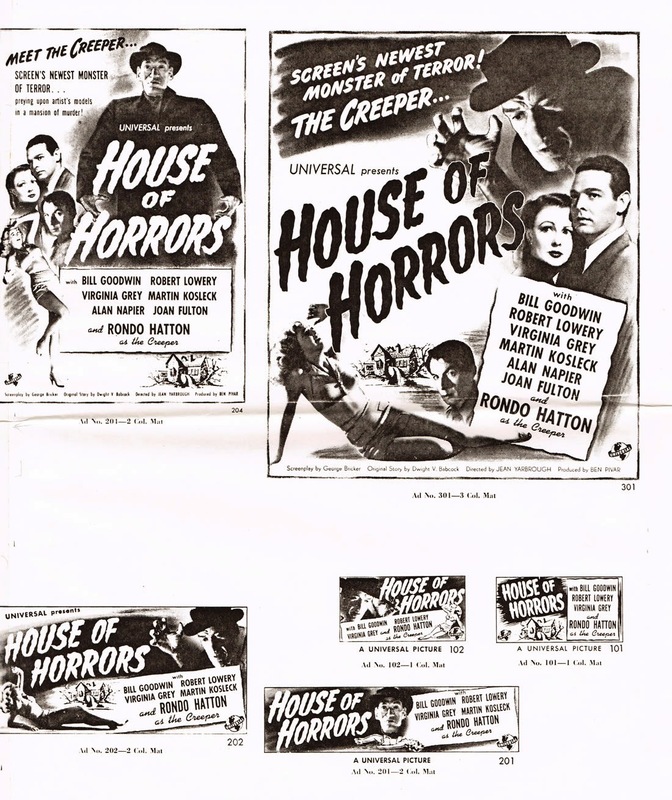 Here is a press kit for Universal's "House of Horrors"! 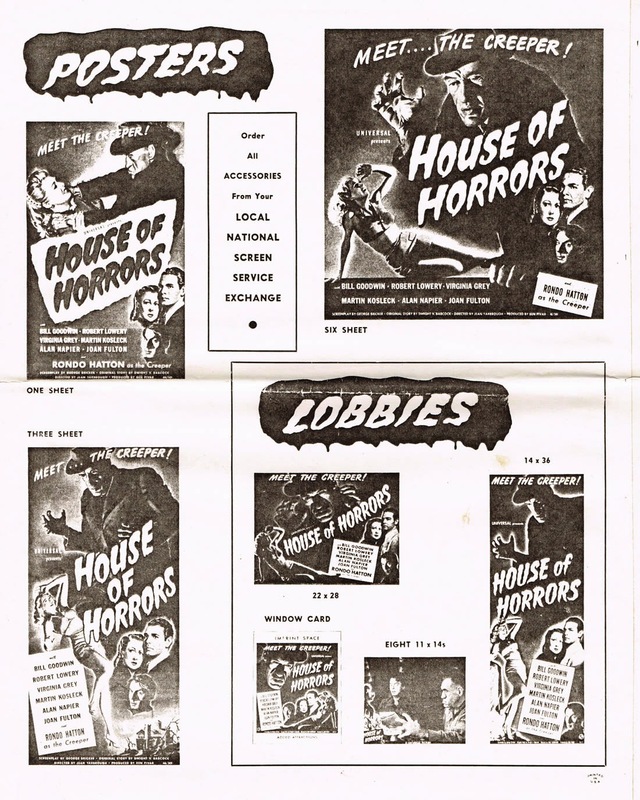 I would have ordered all those posters back in the day! 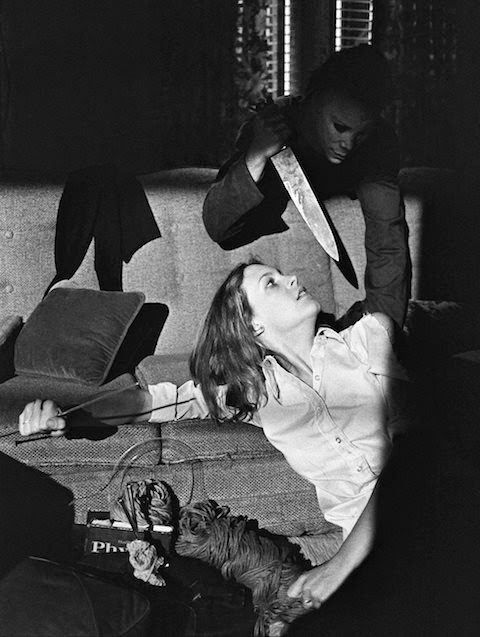 Laurie Strode, played by Jamie Lee Curtis, is attacked by Michael Myers in "Halloween". 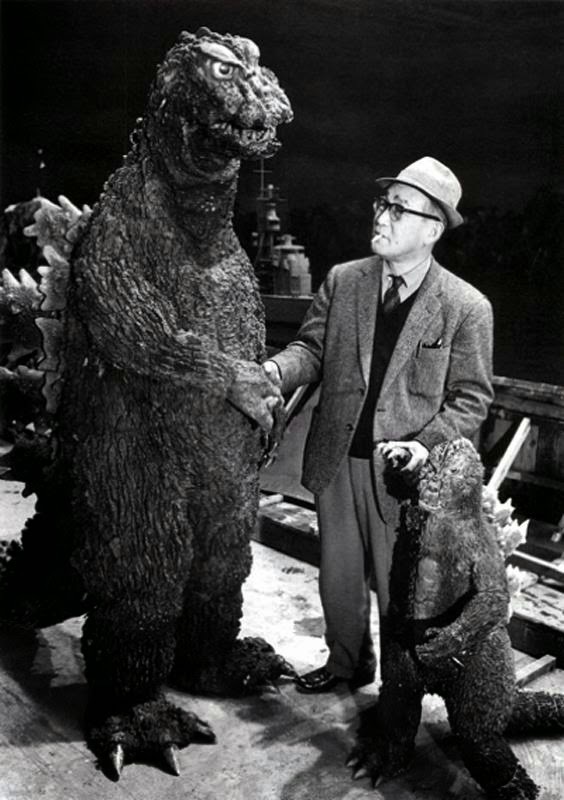 I'd like to meet both of those Godzilla's too! 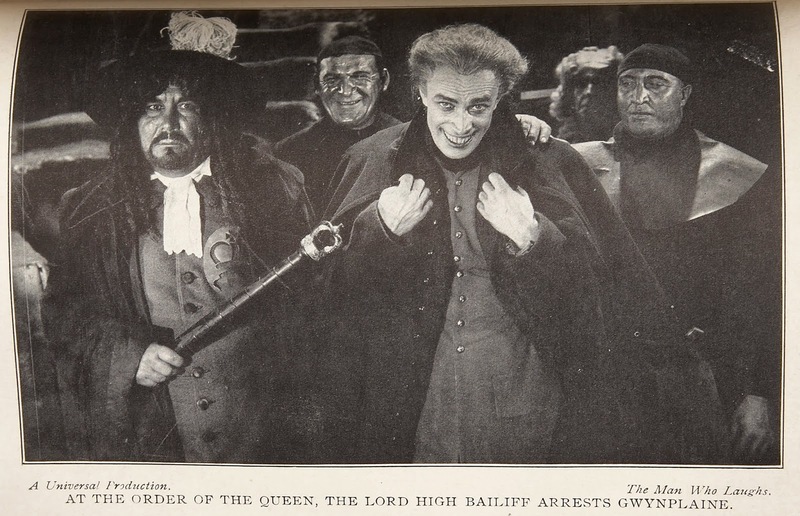 Here's Conrad Veidt in "The Man Who Laughs". 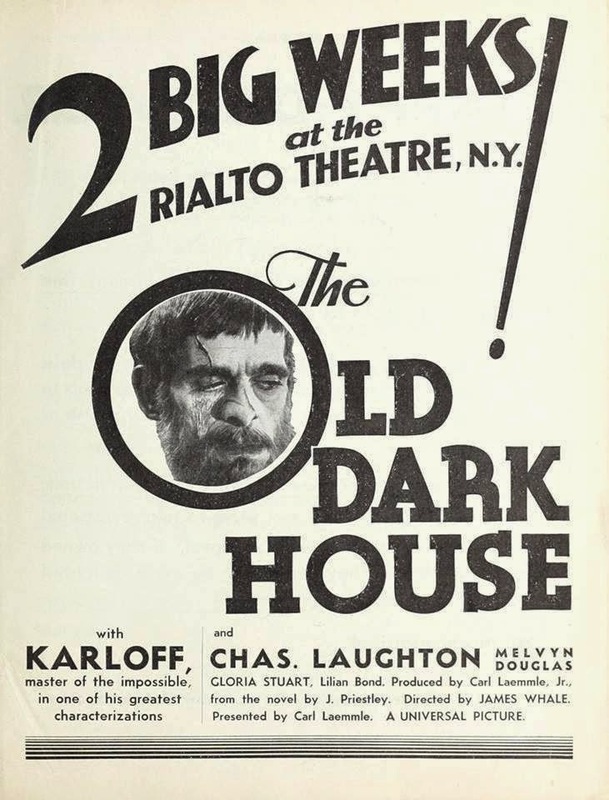 Advertising "The Old Dark House"! 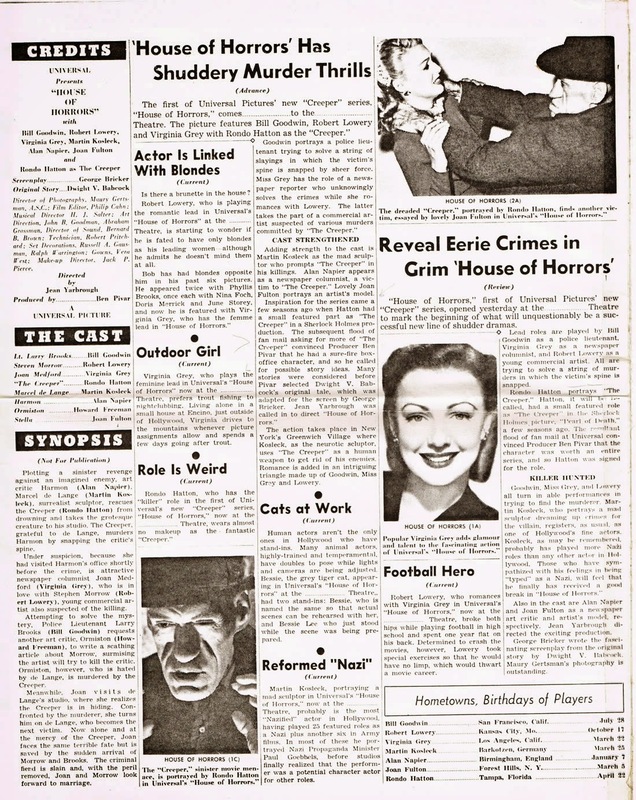 If I were alive in 1932, I'd be thrilled! 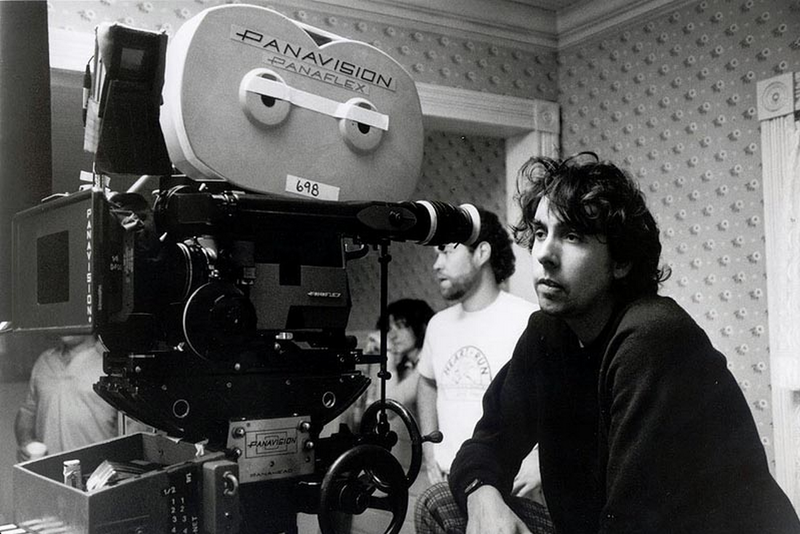 Monster Movie Posters: "A Nightmare on Elm Street 3: Dreams Warriors"
Director Tim Burton on the set of "Beetlejuice". 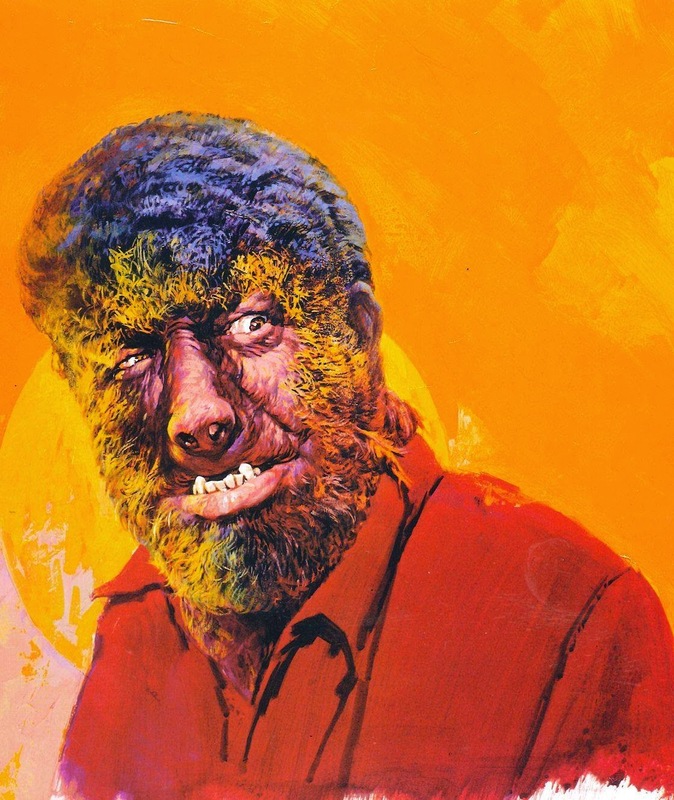 Here's one of my favorite paintings from Basil Gogos. 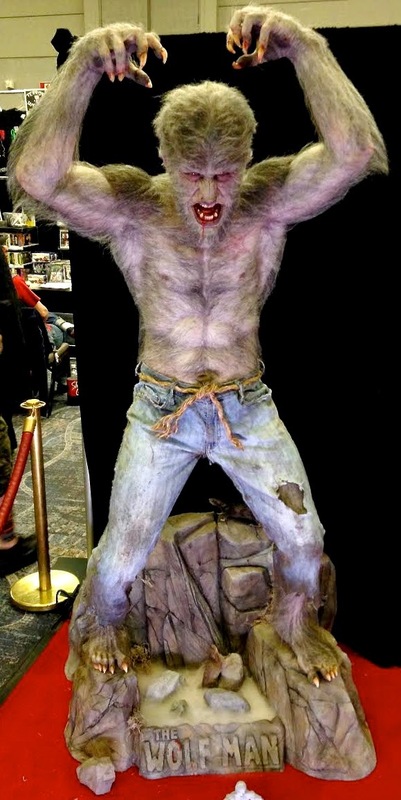 It's Lon Chaney, Jr. as the Wolf Man from "House of Dracula". 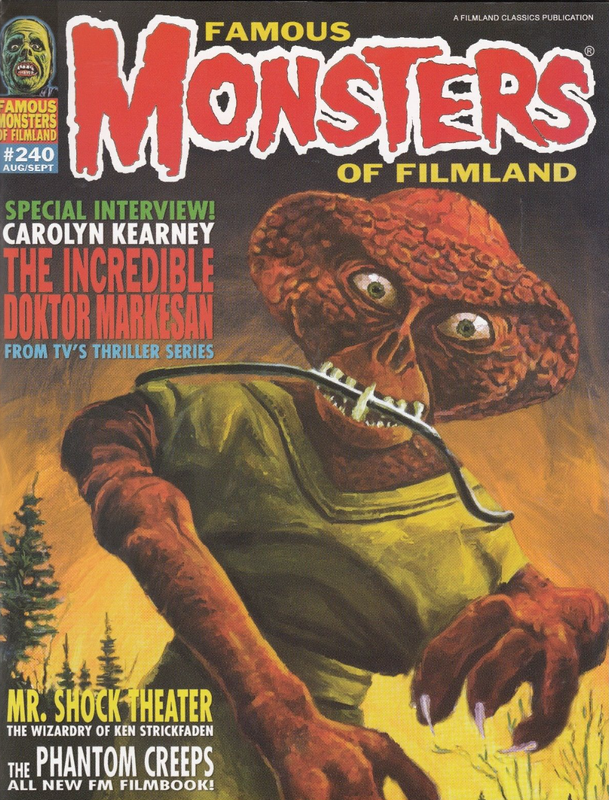 It was featured as the cover of Famous Monsters #99. 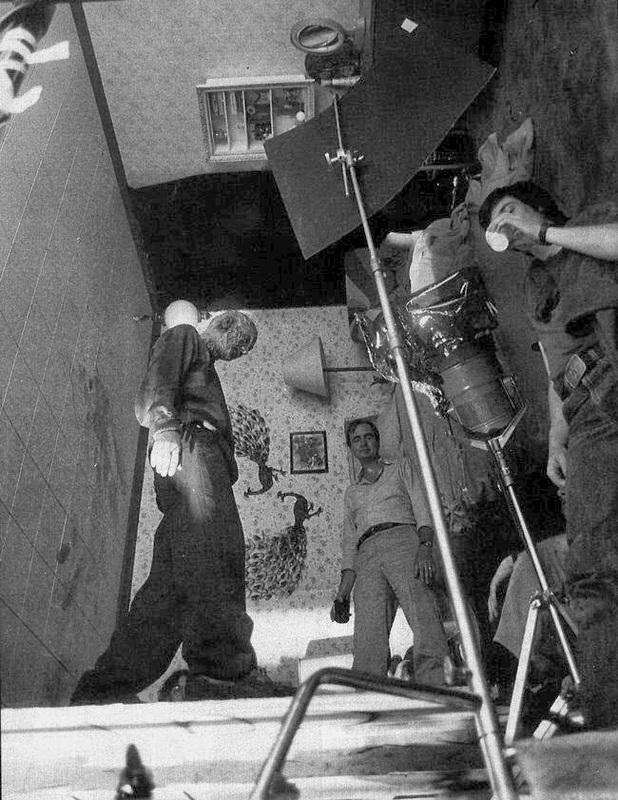 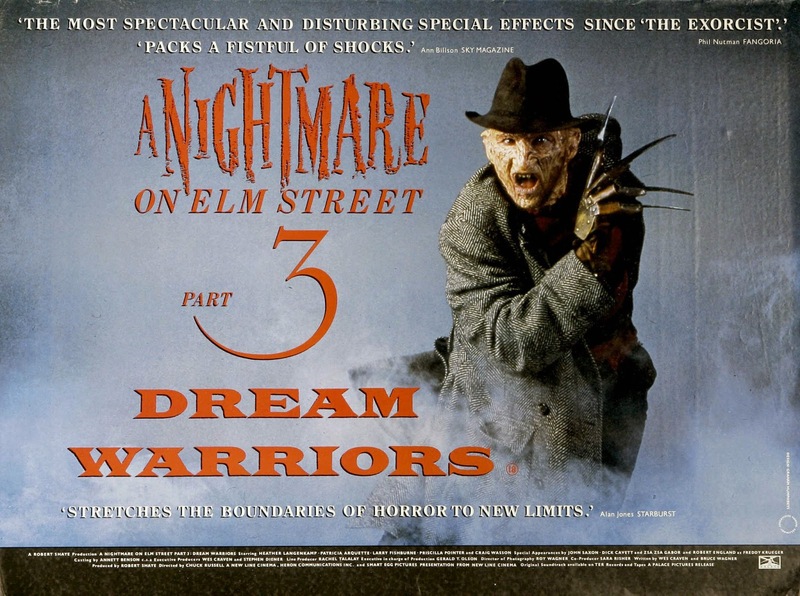 Here's how they did some of the special effects of "A Nightmare on Elm Street". 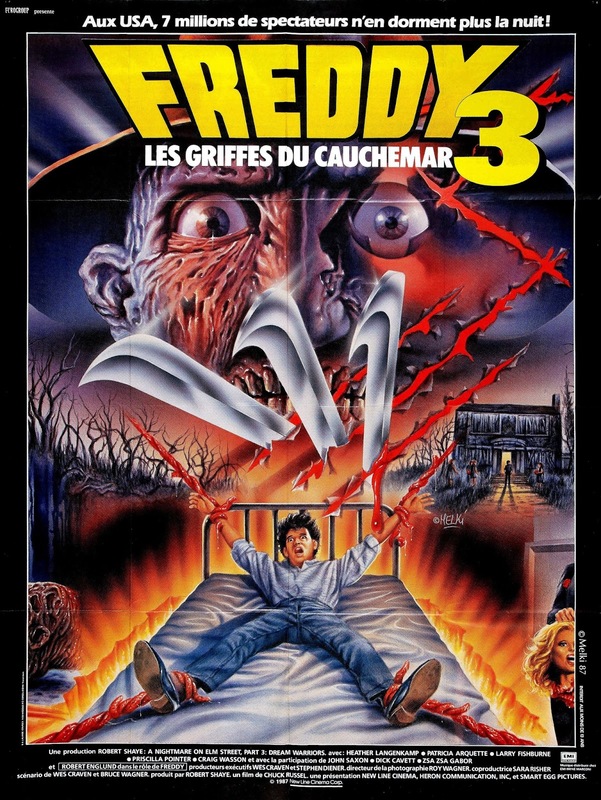 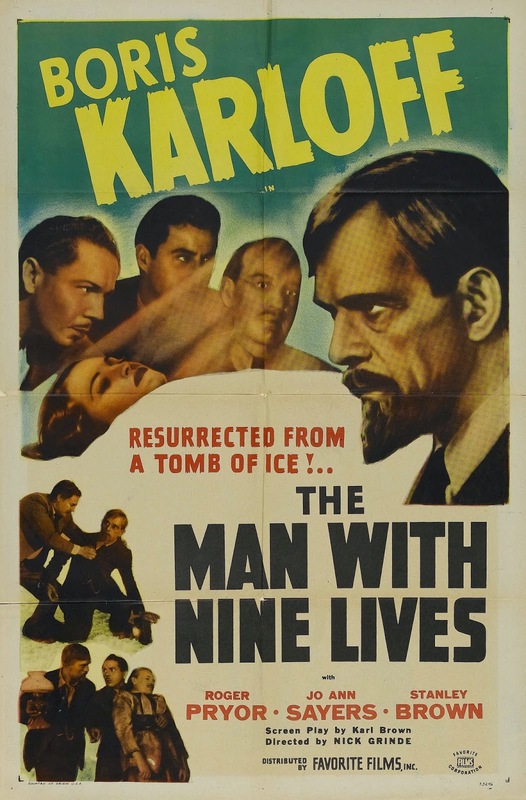 Monster Movie Posters: "The Man With Nine Lives"
From "A Nightmare on Elm Street". 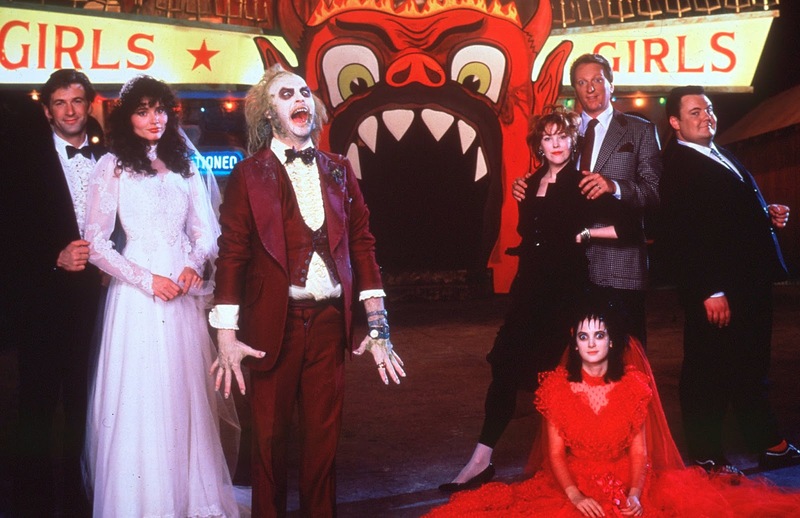 Winona Ryder and friend from "Beetlejuice". 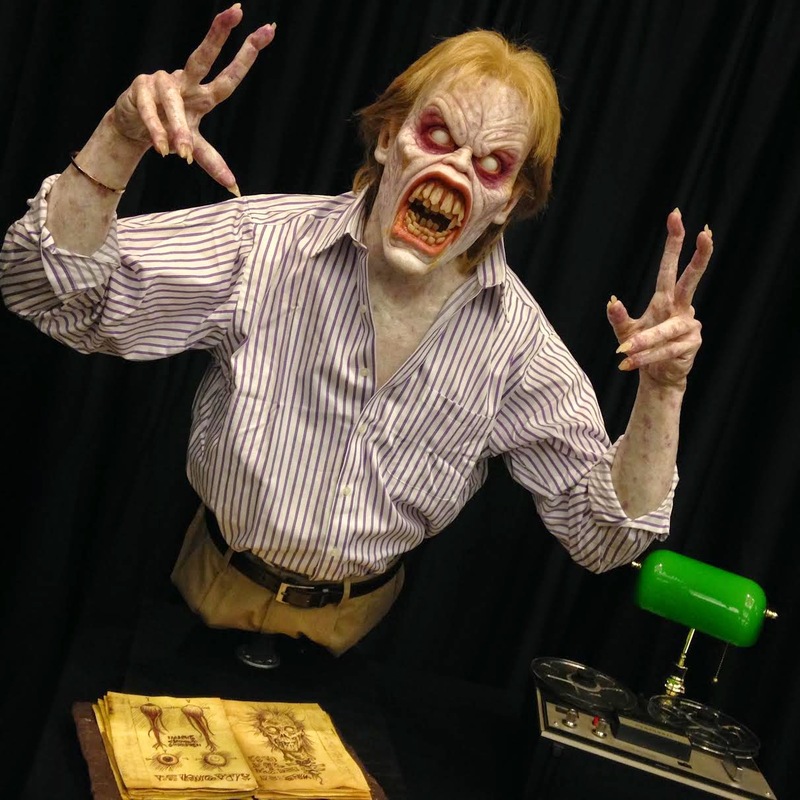 The Wicked Witch Waits For You! 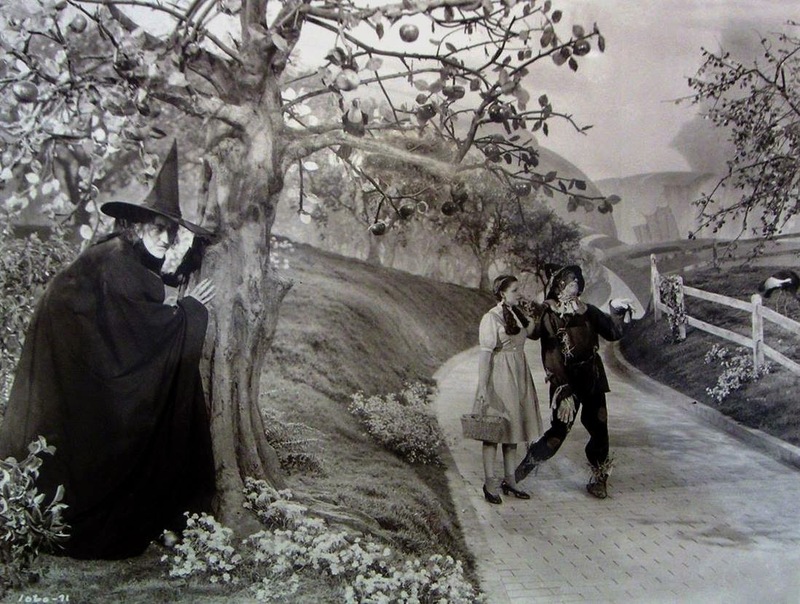 From "The Wizard of Oz". 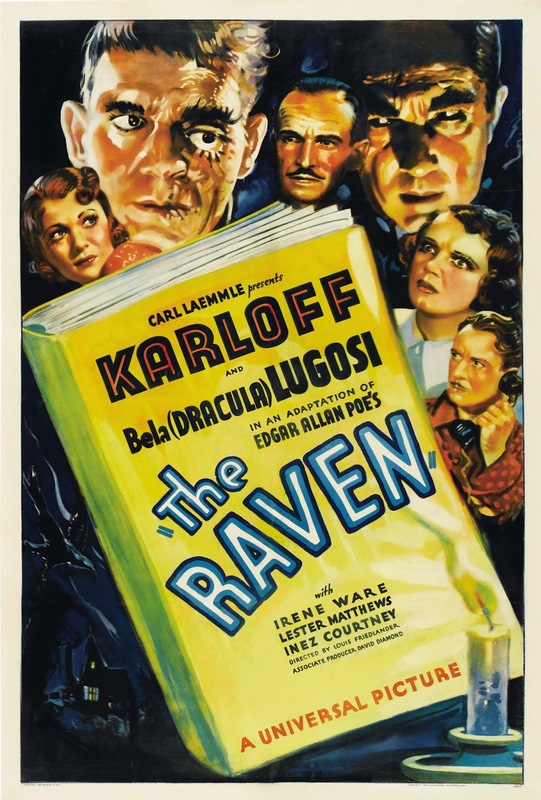 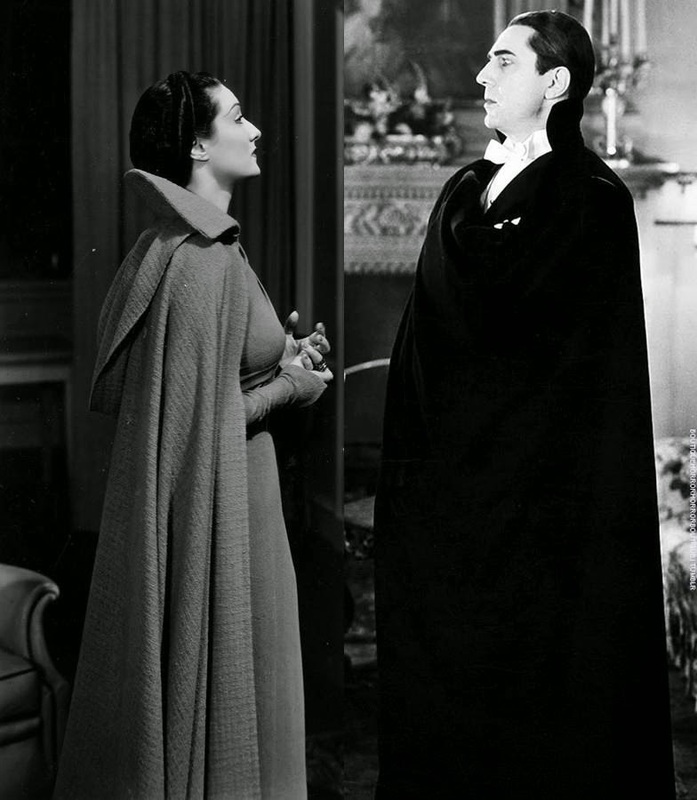 What if Bela Lugosi appeared in "Dracula's Daughter"? 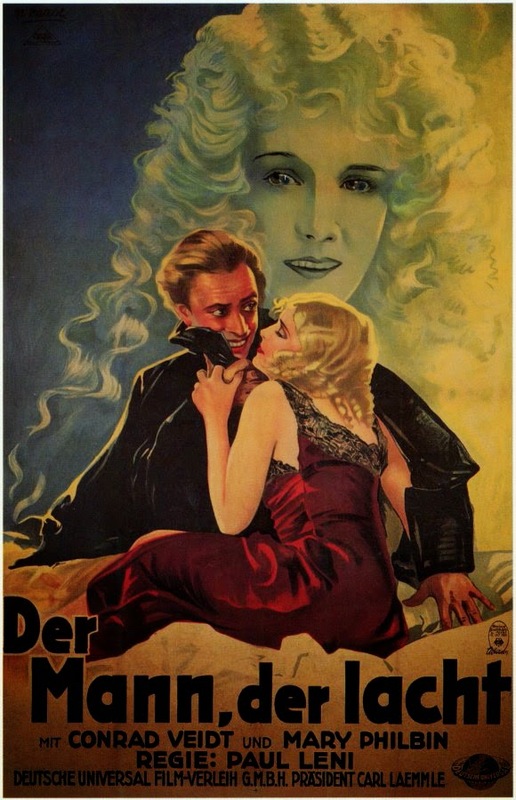 I think the movie would have been a lot more memorable, even though I think "Dracula's Daughter" is great. 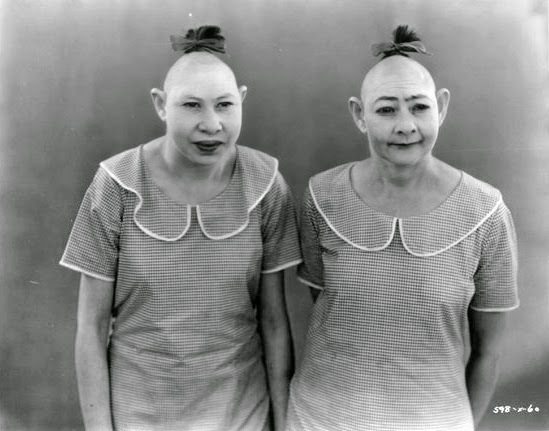 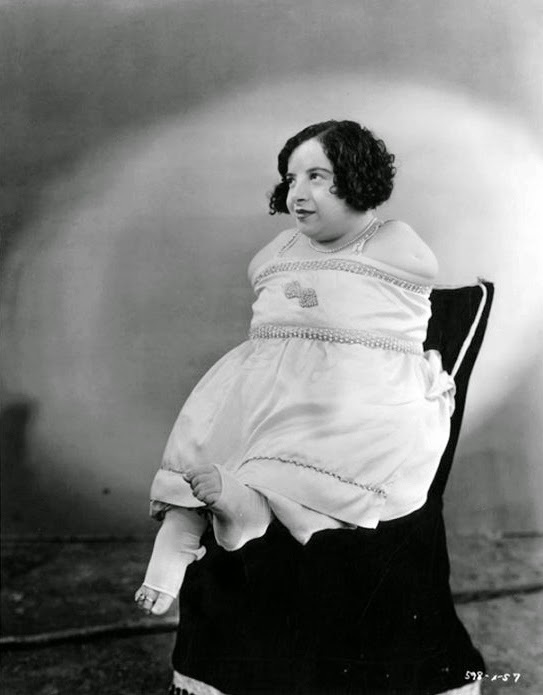 Here is another portrait of one of the characters from "Freaks". 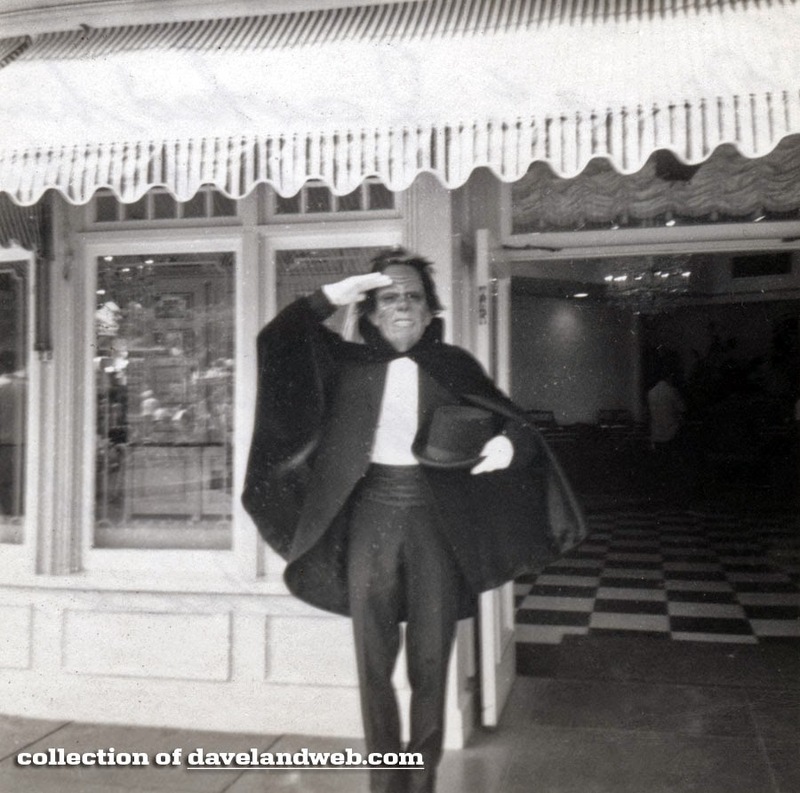 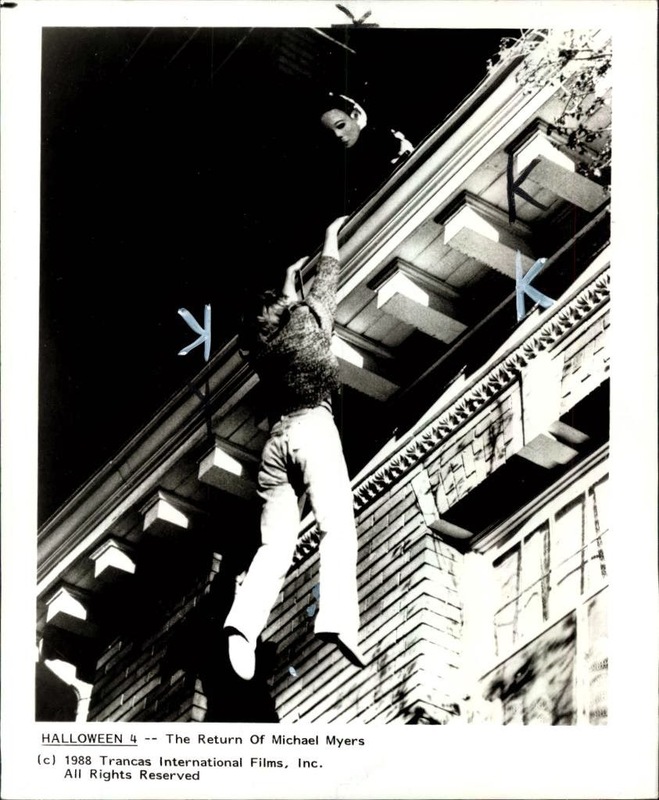 Monster Movie Posters: "A Nightmare on Elm Street 4: The Dream Master"
Davelandweb.com posted this photo of the Phantom of the Opera when he used to walk around the Main Street Cinema at Disneyland! 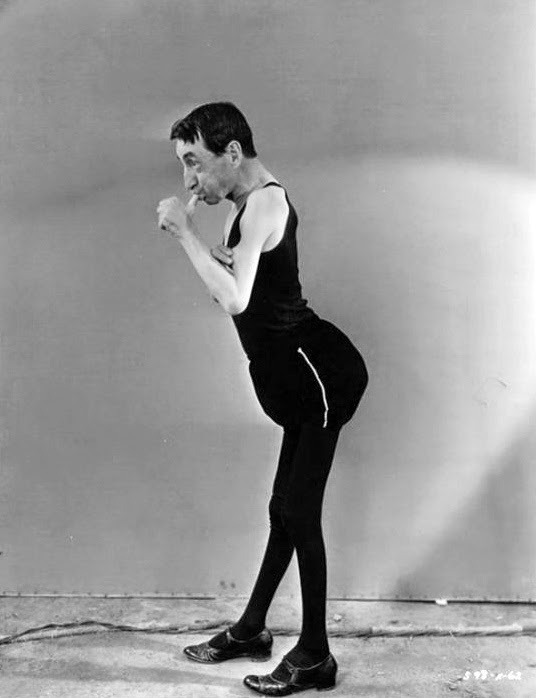 I wish he was still there today! 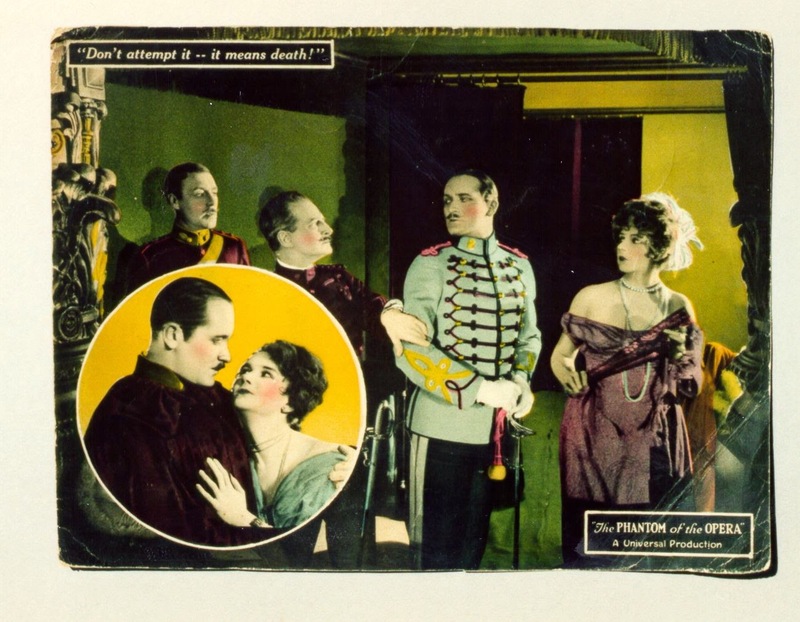 From "The Phantom of the Opera". 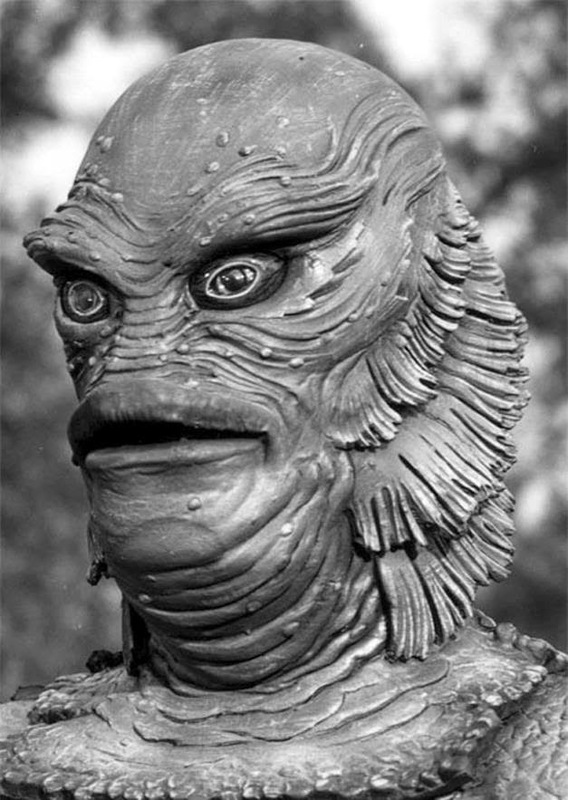 The Gill Man Close Up! 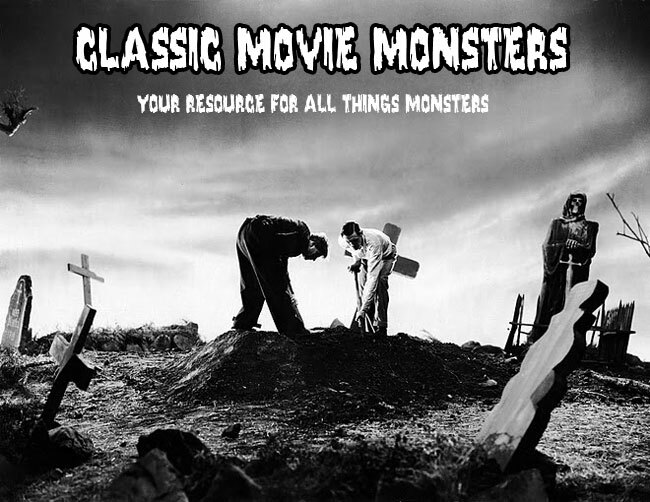 From "Creature From the Black Lagoon"! 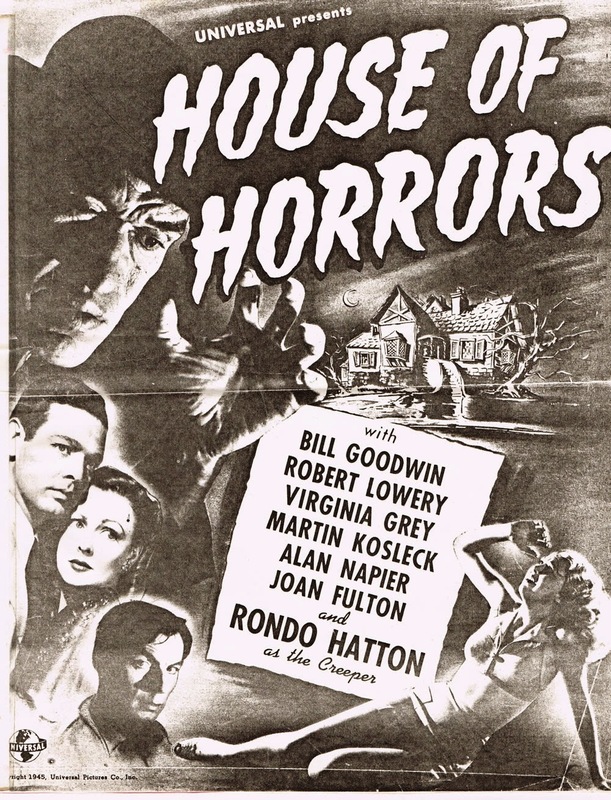 Monster Movie Posters: "Mark of the Vampire"